Christmas is always a great time for me, a Pet Portrait is a lovely and unique present and so Jim (Ralphs Dad) asked me to do a painting of Ralph for his partner and Ralphs mum, Naomi. 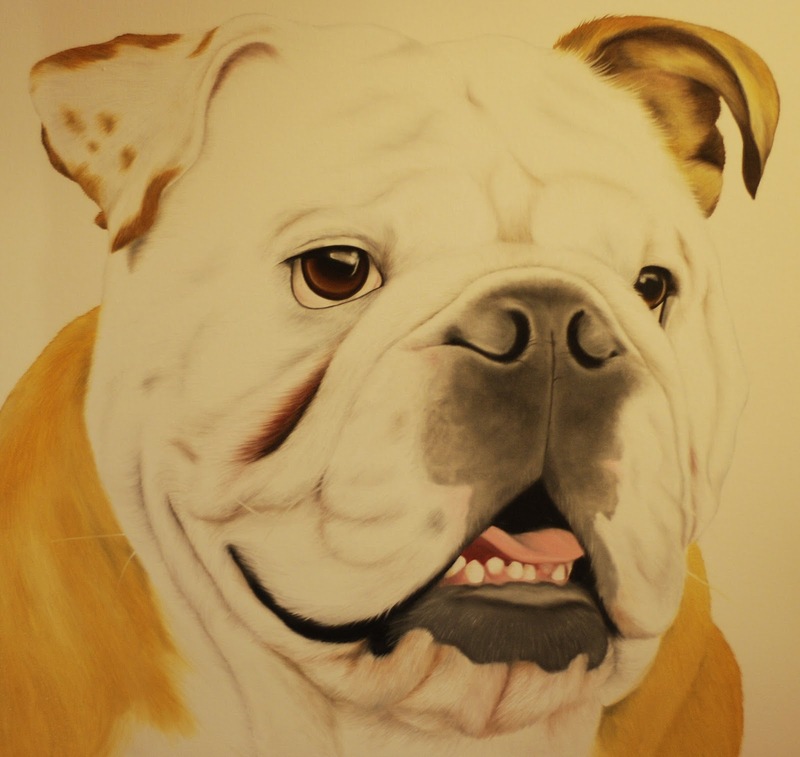 I had seen some pictures of the gorgeous Ralph on Facebook when he was a puppy so was excited when I knew I could paint him, don't know what it is about a Bulldog but no matter how grumpy they can look they always make me smile! I had to sneak the finished painting over to Ringwood without Ralphs mum seeing as she had no idea that Jim had arranged this for Christmas and got to meet Ralph while I was there, he really is adorable and I was tempted to sneak him in the van, have a feeling they may have noticed! 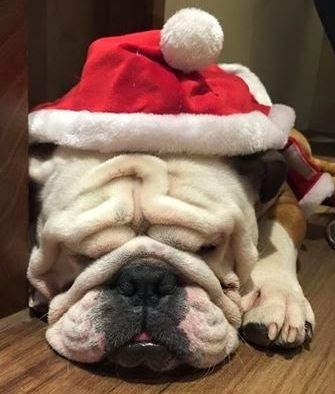 I got a lovely message on Boxing Day to say that Naomi loved the painting and from the looks of it Ralph was pooped after a great Christmas!